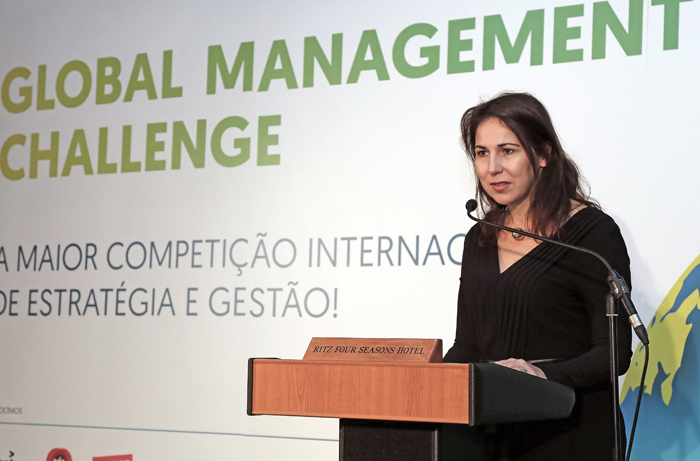 Ana Lehmann, Portuguese Secretary of State for Industry, was present at the National Final of the 38th edition of the Global Management Challenge, where she affirmed that initiatives like this contribute to taking the name of Portugal further afield. 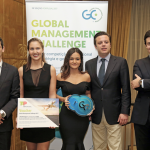 Secretary of State for Industry, Ana Lehmann, was one of many personalities from the business and academic world to participate in the presentation of prizes for the National Final of the 2017 Global Management Challenge last November in Lisbon. Mrs Lehmann is convinced that taking part in the challenge improves management skills and, thanks to the rate at which it is growing internationally, is taking the name of Portugal to the four corners of the world. Speaking to an attentive audience at the event, Ana Lehmann said that this competition, already expanded to global dimensions, is worthy of the greatest admiration. “The making of good managers is fundamental for the growth of our businesses and our economy. This Olympic Games of Management brings together managers and students on a unique occasion to create opportunities for sharing knowledge and experience, and also share new visions for solving old dilemmas”, she pointed out. With its capacity to develop skills and stimulate innovation, this competition has a role to play in Portugal and around the world.